Numazu, the entrance to Izu, is a port town facing Suruga Bay. Many fish caught in nearby seas are landed in Numazu Port, and you should definitely try the local specialties, both raw and dried horse mackerel. It is also famous for deep sea fish cuisine and deep sea aquarium, and has recently gained attention as a holy land for deep sea fish. 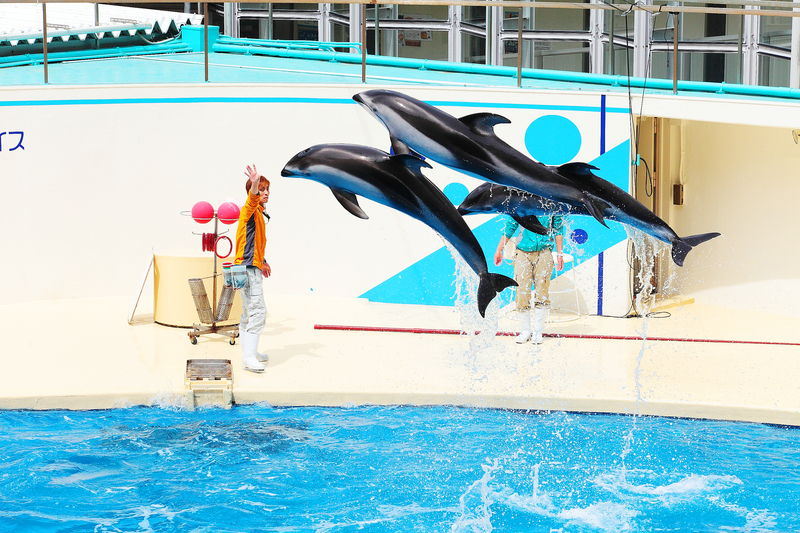 The aquarium where you can see a dolphin show with Mt. Fuji in the background and a drive along the coast toward Heda are both exhilarating. Numazu Port lands the greatest variety of fish in Shizuoka Prefecture, and you can enjoy many types of seafood that live in Suruga Bay. 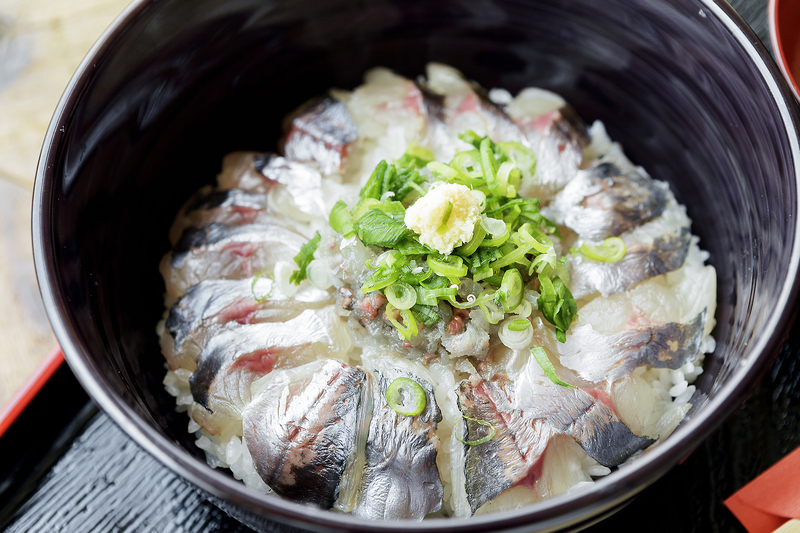 Horse mackerel is the most typical of these, and at restaurants near the port you can casually enjoy it as fresh sashimi or in seafood rice bowls, as well as dried. Uchiura Port is first in Japan for volume of farmed horse mackerel. People here are proud of the fresh horse mackerel you can eat here, which has firm, tender meat due to the strong currents of the bay. It is said that over 1,200 species of fish live in Suruga Bay, the deepest sea of Japan, and many deep sea fish are caught here, including dottybacks, Japanese lates, Japanese grenadier, and dark sleepers. 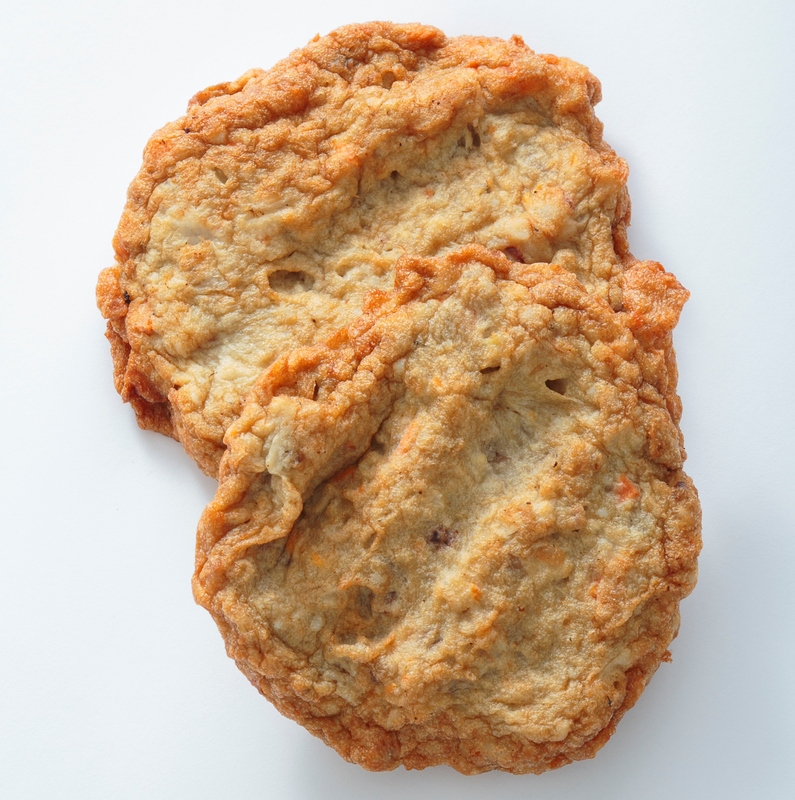 You may be surprised by their strange appearance at first, but their taste is surprisingly light, so please try taste of deep sea fish you will rarely see anywhere else. 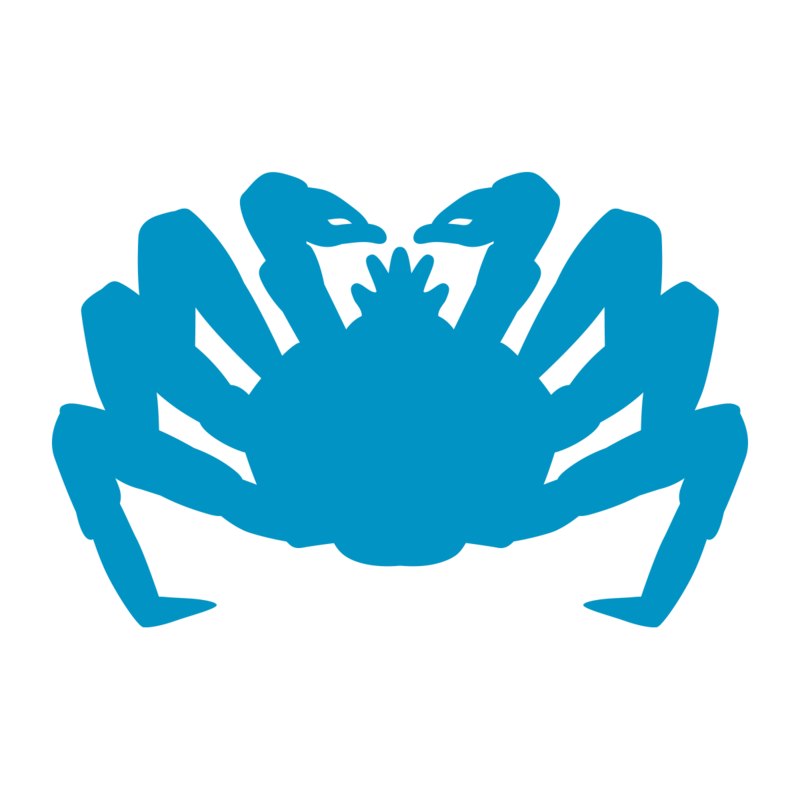 “Spider crabs” are the largest crabs in the world, at 3 meters with their legs outstretched, and because they live at the bottom of Suruga Bay at a depth of 200 to 300 meters, they are caught by bottom net fishing also known as trawl fishing. 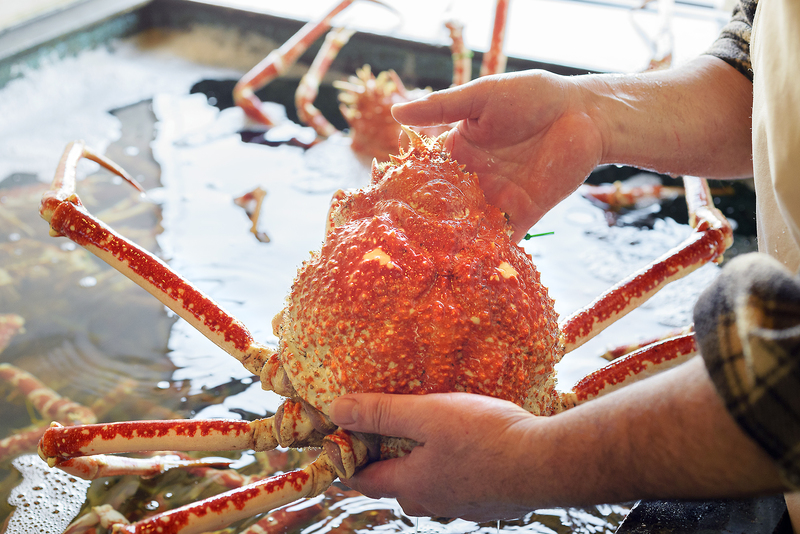 In stores around Heda Port which is located on the west side of the Izu Peninsula, you can enjoy spider crabs cooked in a variety of ways, including boiling, grilling, or even as sashimi. In Suruga Bay, ships based in Heda Port have the right to trawl fish for spider crabs. 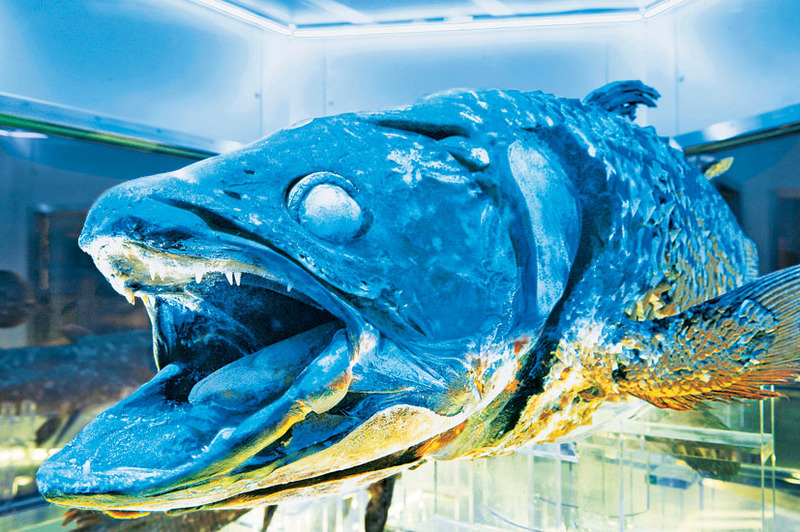 Local cuisine is created to boost the image of Heda, using deep sea fish caught there such as Japanese lates and dotty backs. Fried hanpen using minced deep sea fish is a type of home cooking long beloved by the people of Heda. 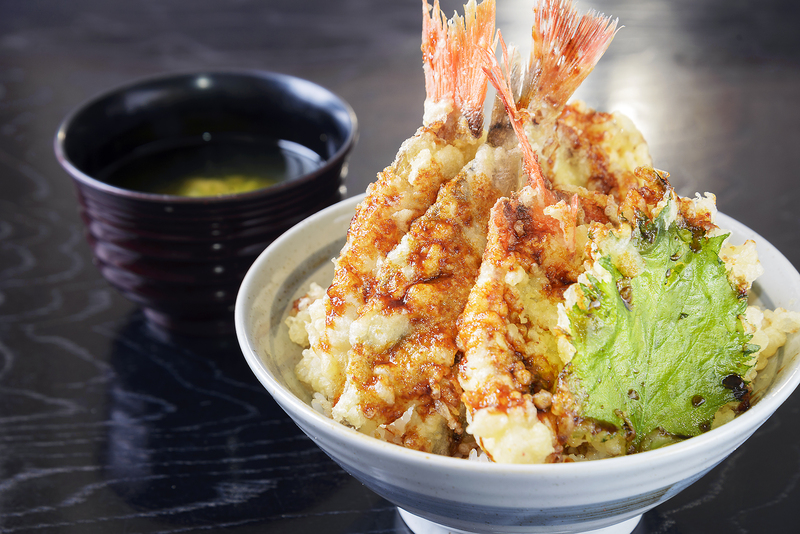 It has a savory flavor of deep sea fish, and is perfect as a side dish for alcohol. 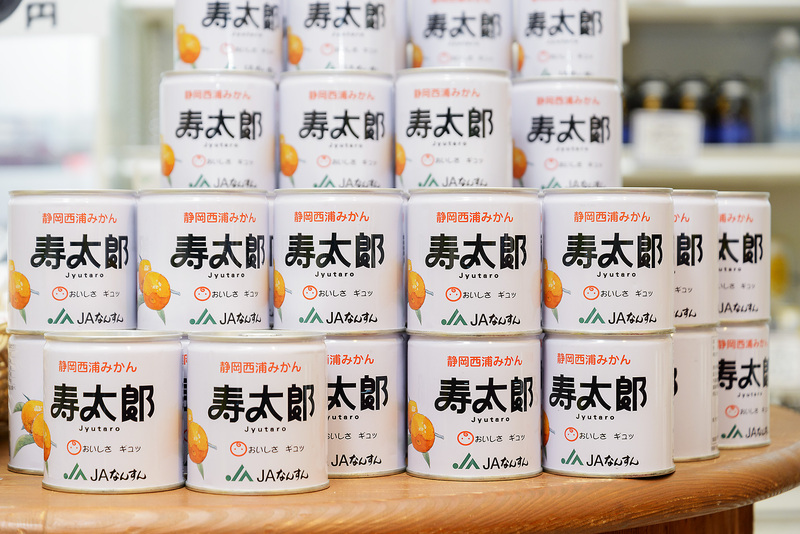 Cultivation of mikans (mandarin oranges) has long been popular in the Nishiura district of Numazu. 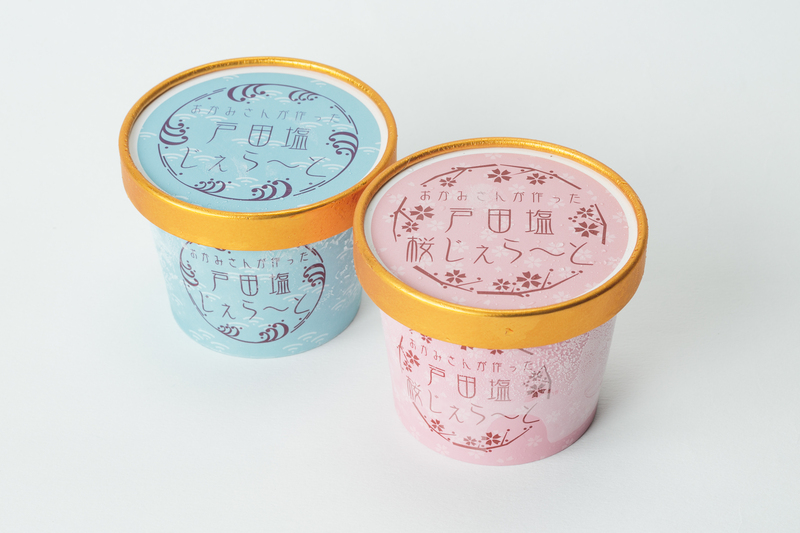 “Jutaro Mikan” in particular has a rich taste with an excellent balance of sweet and sour flavors, and has been designated as a Numazu brand. These little fruits are packed with flavor, and canned goods with syrup using that flavor are also very popular. This 800 meter peninsula at the southernmost tip of the Nishiura coastline sticks out like the nose of a tengu. There is an exhilarating view spot where Mt. Fuji rises beyond the juniper trees, which are themselves a natural monument. They are the northernmost juniper trees in Japan, and some are over a thousand years old, making them very rare even within Japan. Kami Pond at the very tip is a mysterious spot where fresh water springs forth despite being very close to the sea. It is populated by fresh water fish such as crucian and carp, and is counted as one of the seven wonders of Izu. This 750 meter peninsula stretches out and around Heda Port like the bill of a bird. It is forested with yew plum pines, some of which are over 100 years old (and are natural monuments of Shizuoka Prefecture). The red torii gate of Morokuchi Shrine on the tip of the cape matches well with the greenery of the cape and Mt. Fuji white with snow. Thunbeng lilies bloom with orange flowers from June to July, and you can enjoy swimming in the sea in the summer. 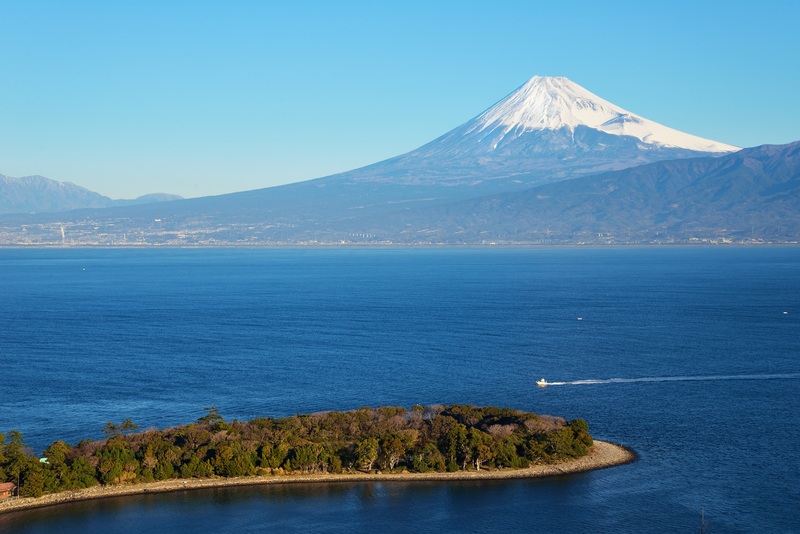 This park has one of the best views in the Tokaido Region, and has been selected as one of “Japan’s 100 best white beaches dotted with green pines”. Mt. 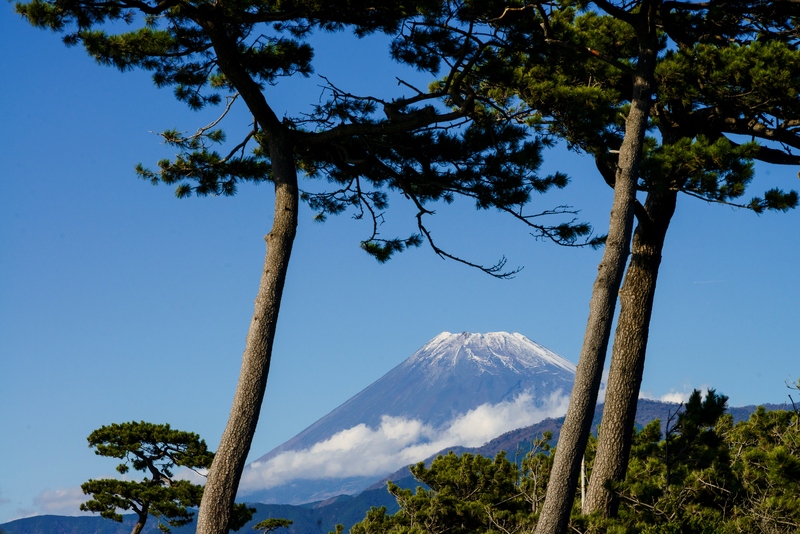 Fuji and black pine trees combine for perfectly Japanese scenery that will steal your heart. Black pines said to be planted by the famous Buddhist monk Zoyo Shonin line the coast, and there is a walking path along the beach. There is a monument dedicated to the poetry of Bokusui Wakayama and another dedicated to the literature of Yasushi Inoue, making this a rest area beloved by residents. Numazu Goyotei (Imperial Villa) was built in 1893 for the recuperation of Emperor Taisho, who was the crown prince at the time. It stands in a corner surrounded by a quiet pine grove facing the coastline, and is a very scenic spot with views of Mt. Fuji from Suruga Bay. 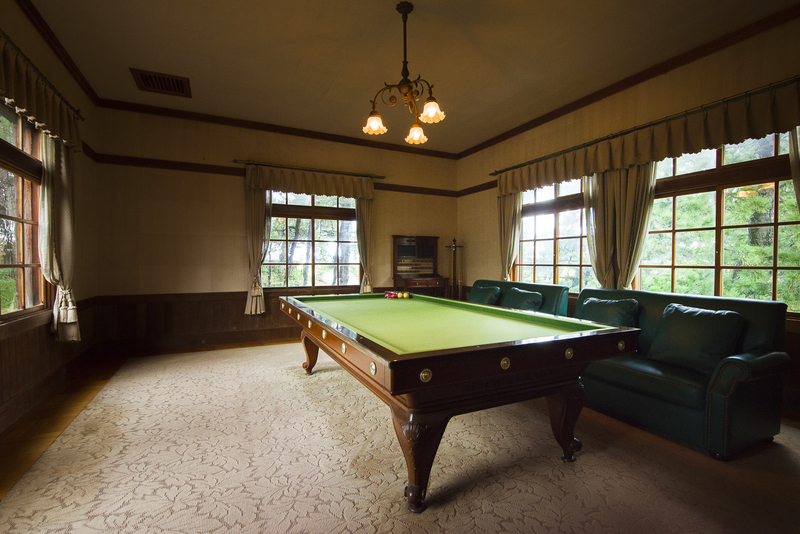 It was opened as a memorial park from 1970, and is a valuable building for retracing the Meiji Era. The garden is beautiful too, and furniture inside has been restored, so you can come in contact with the lifestyle of the imperial family. “The Ganyudo Ferry” gives you the chance to ride a Japanese style boat which has nearly disappeared in this age, and slowly cross the Kano River. There are two routes; the “Ayumi Bridge Route” that follows the Kano River from Ayumi Bridge to the estuary and back, and the “Kano River Estuary Route” that goes back and forth between Numazu Port and Ganyudo on the other side. You can see the majestic Mt. 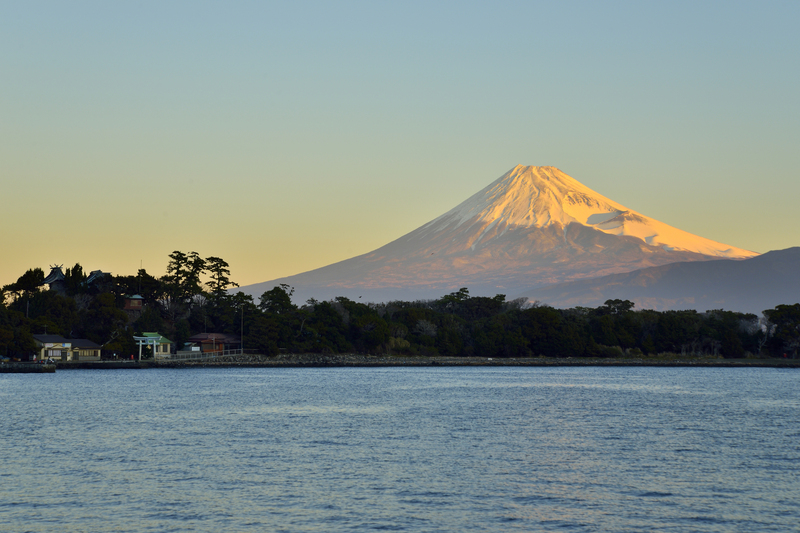 Fuji as you ride the boat. 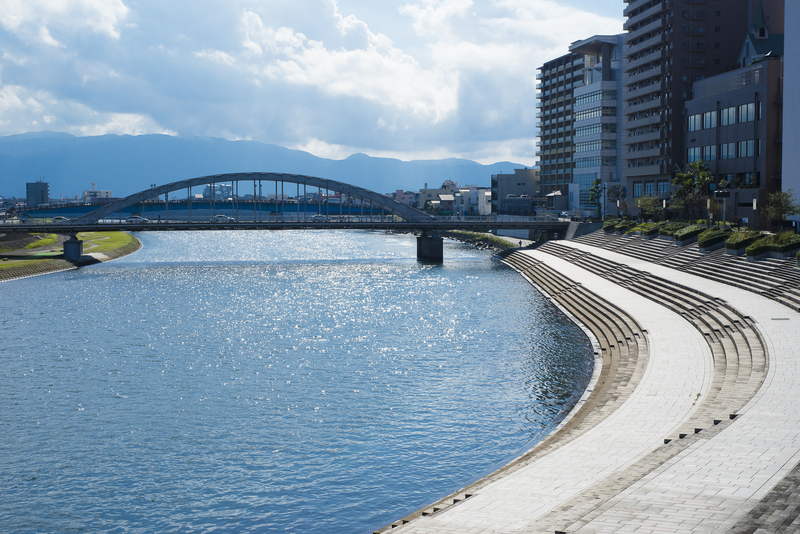 There are new commercial facilities and retro shopping districts around Numazu Station, the starting point of railroad journeys, and the Kano River and Mt. Kanuki are nearby as well. You can also find cafes dedicated to creating delicious food and stylish spaces, as well as sundry goods shops. Fresh seafood caught in Suruga Bay is hauled ashore at Numazu Port. In addition to delicious seafood, there is also a great selection of souvenirs. You can see Mt. Fuji, Suruga Bay, and the Southern Japanese Alps from the observation corridor of “Byuo”, one of the largest water gates in Japan. Nearby Senbonhama Beach has many beautiful pine trees. This quiet seaside area is located at the entrance to west side of Izu.It has two aquariums: Izu-Mito Sea Paradise, and Awashima Marine Park. Uchiura boasts the largest production yield of farmed horse mackerel in Japan, and you can enjoy fresh, tender horse mackerel there. Cape Ose projects approximately 1 kilometer into Suruga Bay. It is a mecca for diving, and is thronged with swimmers in the summer. Mt. Fuji is beautiful when seen over the sea, and there are natural monument juniper trees growing around Ose Shrine. Numazu is very scenic, with a view of Mt. Fuji to the north, beautiful coastlines and mountains, and the Kano River flowing through the town. The refreshing seasons of spring and autumn are perfect for hiking. In the summer, you can go swimming at the beaches. In winter you can see an incredible view of Mt. Fuji while driving along the coastline. 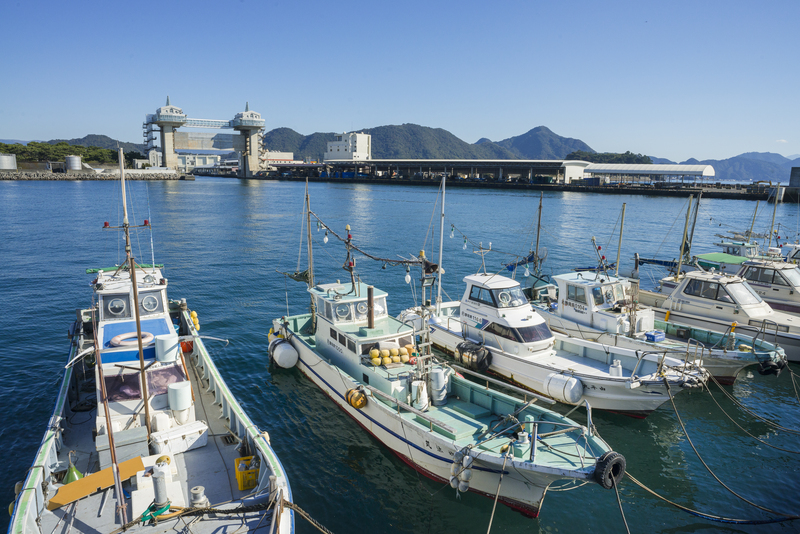 Another charming point of Numazu is the chance to enjoy freshly caught seasonal fish in all four seasons, including horse mackerel, chub mackerel, sardines, and red bream. Within the city of Numazu, which is surrounded by the sea and the mountains, there is a variety of hiking courses. “Mt. 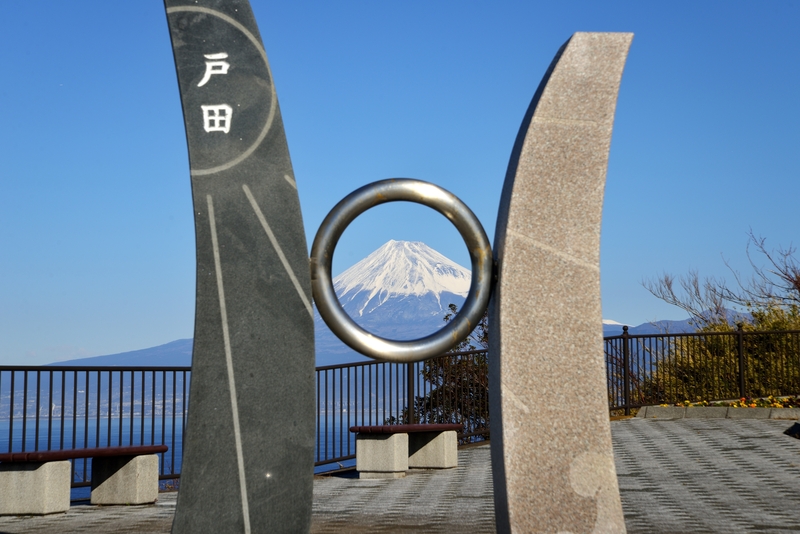 Kanuki” is a low mountain at just 193 meters, but it has an excellent view. 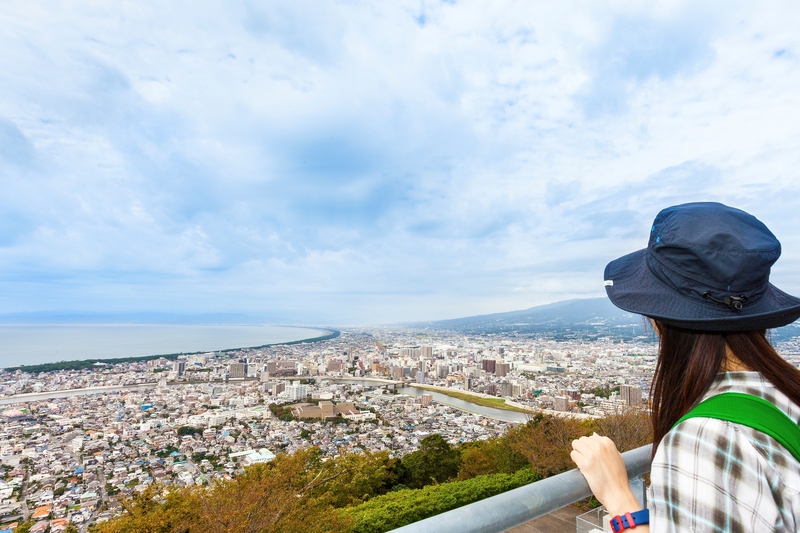 From the observation deck, you can see the curved shoreline and greenery of pine forests, look down on the cityscape of Numazu, and even see Mt. Fuji if the weather is good. It is also famous as a place to see cherry blossoms. The “Ose Festival” held every year on April 4th is a peculiar festival to pray for a big fishing catch and safe navigation. The “Isamiodori” dance performed on ships by men dressed as women with flashy makeup and long kimono-like garments is also a must-see. “The Numazu Summer Festival and Kano River Fireworks Festival”, which will be held for the 70th time in 2017, are a tradition of Numazu in the summer. It has been held on the last Saturday and Sunday of July, with the town enthralled by shagiri music competitions, mikoshi parades, and local drummer performances in the afternoon. 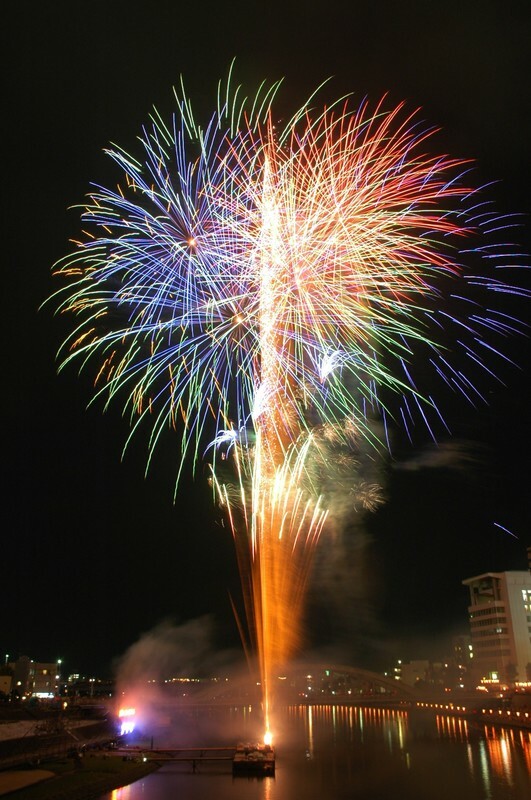 The fireworks festival is the largest held in a downtown area in the Tokai Region, with a colorful program of nearly 10,000 fireworks decorating the night sky of Numazu in the summer over the course of 2 days. In the middle of July, the beach swimming area opens up. “Yosakoi Tokaido” is a typical late autumn scene of Numazu, held every year in the middle of November. 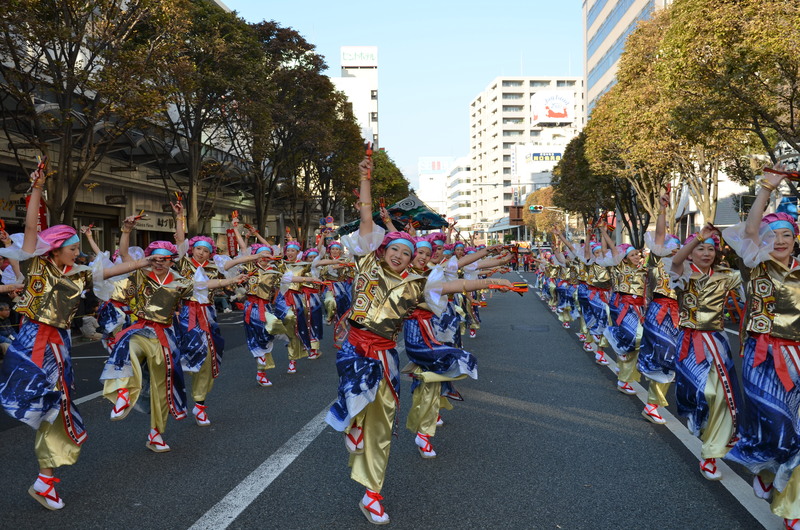 Teams gather from across Japan to perform “yosakoi” dances in various forms around Numazu Station. Over 60 teams participate, and onlookers heartily cheer them on, as the downtown area is roiled with their enthusiasm. In the autumn, seasonal fish get fat and juicy. 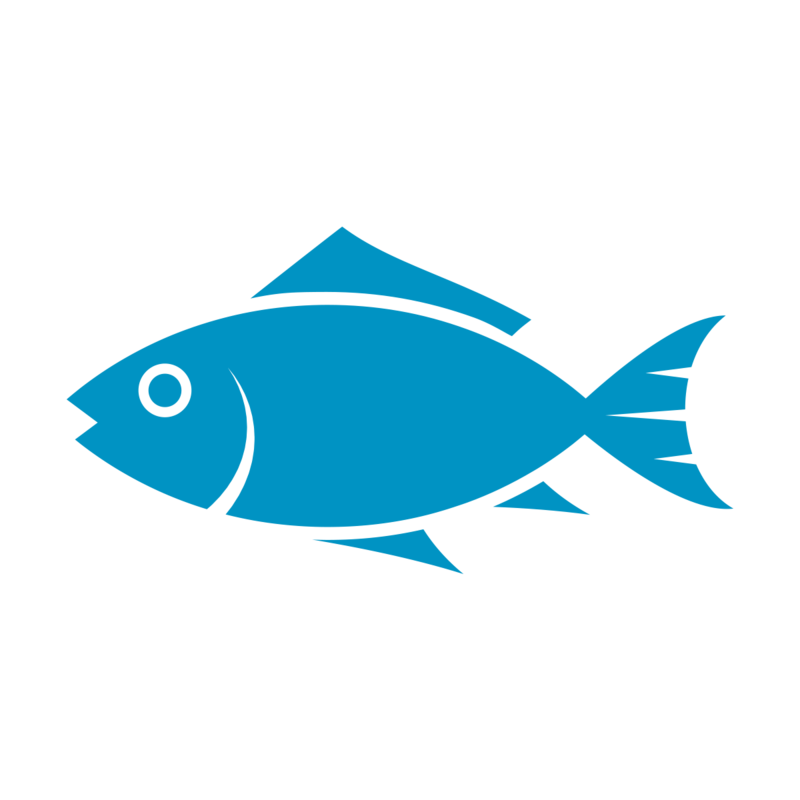 You can enjoy delicious sardines, horse mackerel, and blackthroat seaperch. 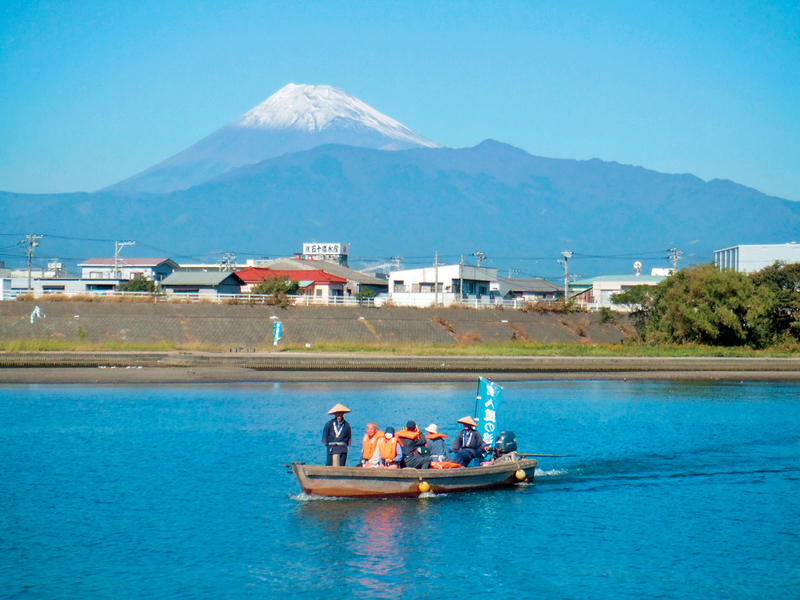 Along the coastline within Numazu, there are many spectacular spots where you can see Mt. 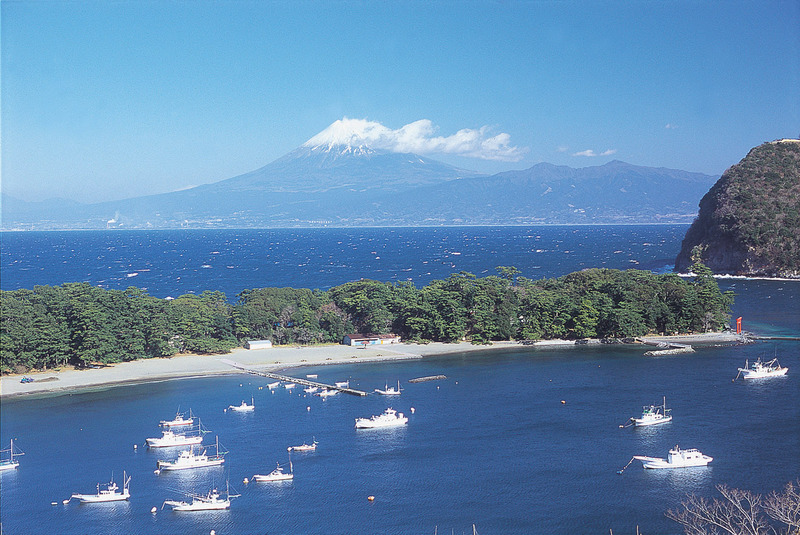 Fuji across Suruga Bay, and you can even view the snow-capped peak of Mt. Fuji from late November. Here you can drive along the coast while enjoying the majestic sight of Mt. 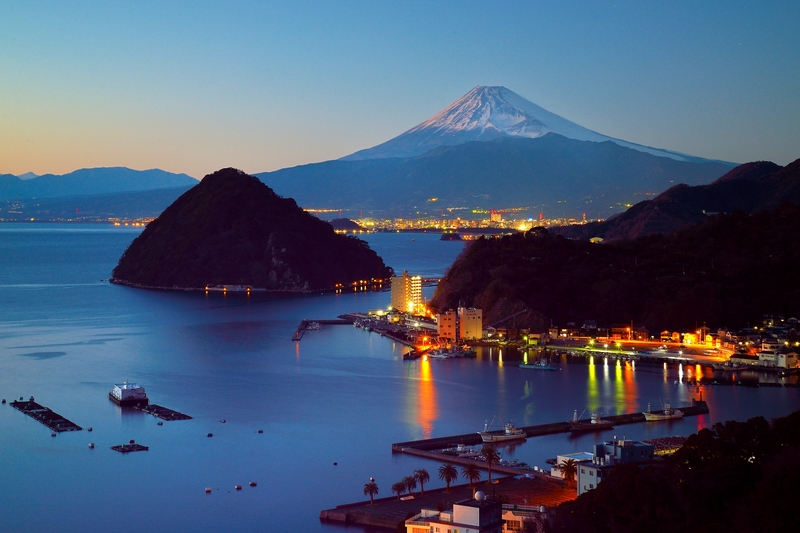 Fuji, which appears alongside other scenery such as the glittering ocean, islands, ships, the port, and pine forests.